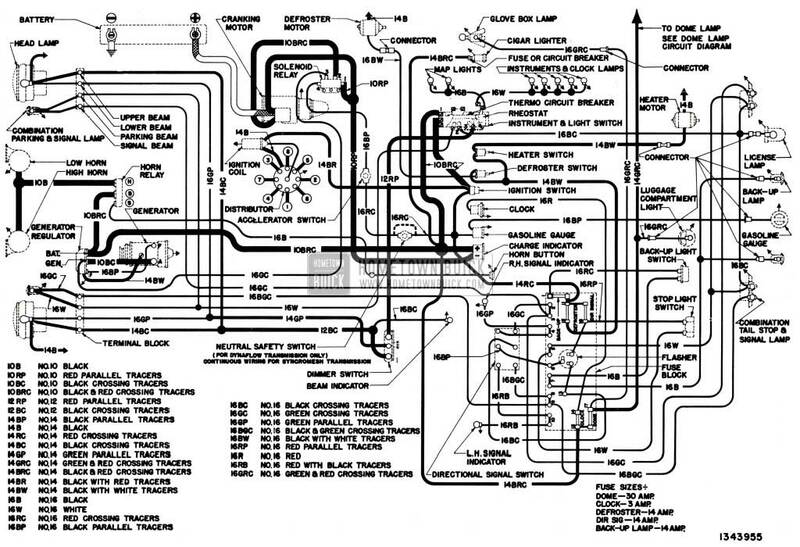 This Section contains all the necessary 1951 Buick wiring circuit diagrams for chassis and body. 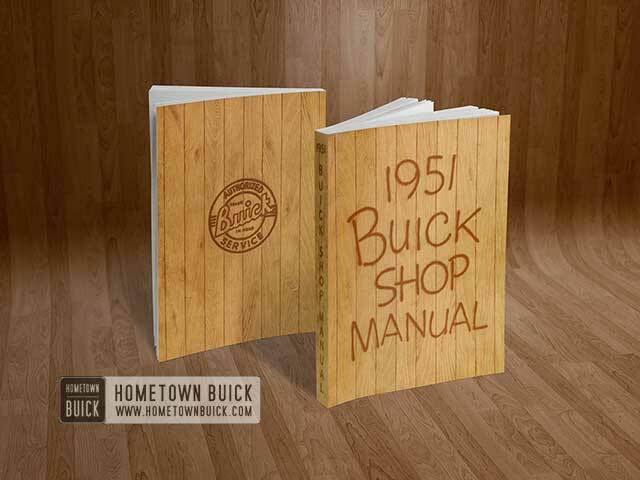 The 1951 Buick wiring may be easily traced by paying attention to the color code on each wire and the color code indicated on the diagrams. 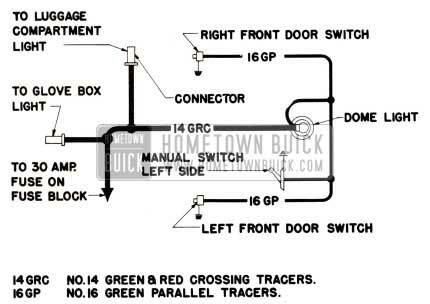 Many of the 1951 Buick wiring connections use a push-pull type terminal. 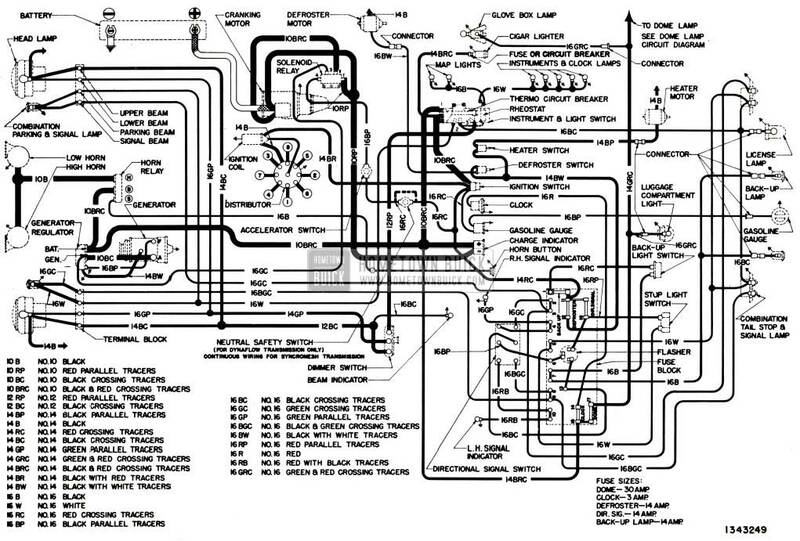 The terminal plug on the wire requires a hard push to seat it in the socket. A hard steady pull on the wire is required to detach the terminal plug from the socket. If an exceptionally hard pull is required, it is advisable to start the terminal plug by prying against the rim with a screwdriver. An inspection hole is located in the left side of dash panel. 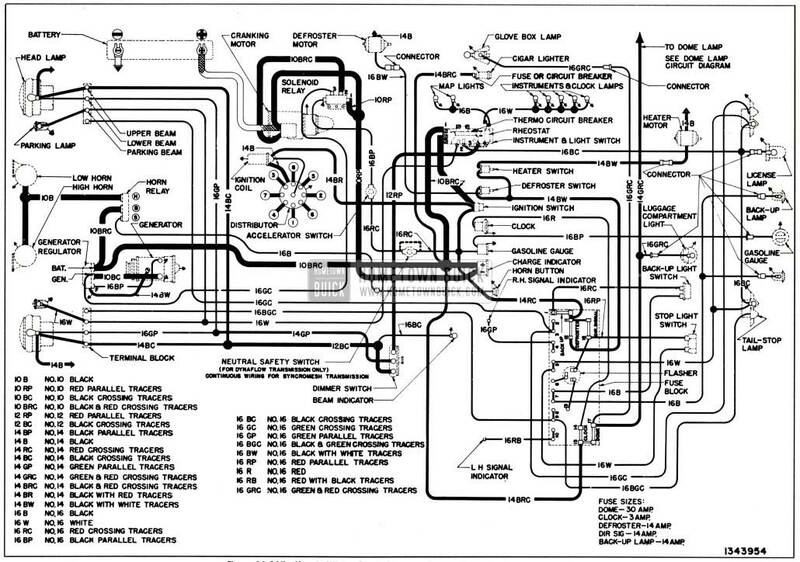 The cover, which is attached by screws, may be quickly removed for inspection and for working on the wiring connections to instruments on forward side of instrument panel. 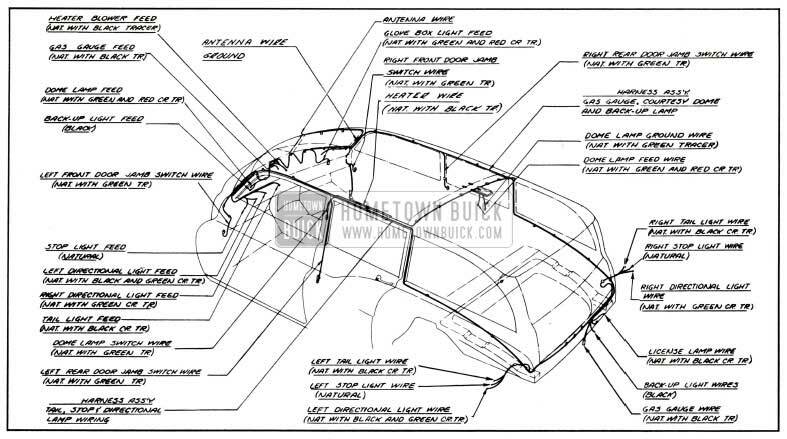 A central fuse block is mounted under the cowl near the steering column and to rear of the inspection hole in cowl. It is not necessary, however, to remove the inspection hole cover to replace a fuse or to disconnect wires. 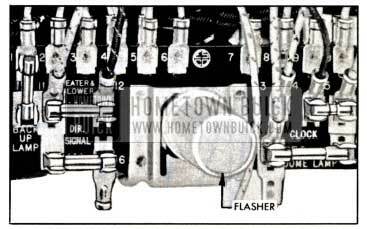 The fuse block serves as a convenient junction point for a number of wiring circuits, provides a mounting for the direction signal flasher, and contains the fuses shown in figure 10-109. 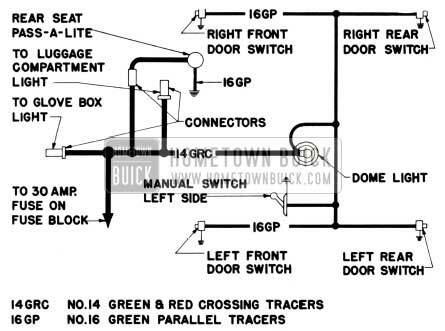 The “Direction Signal” fuse also protects the stop light circuits. 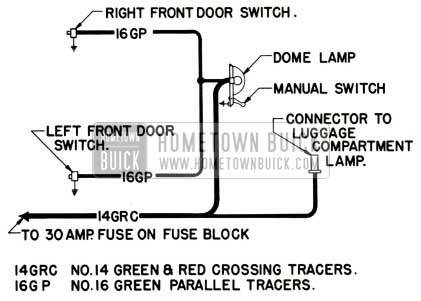 The “Dome Lamp” fuse also protects the luggage compartment and glove box lamp circuits.